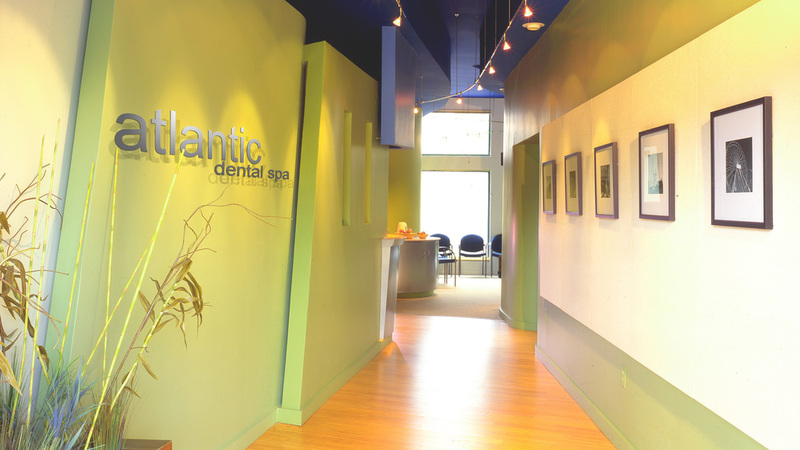 Fluid spaces and cool colors define this dental spa located on an inlet near Ocean City, MD. 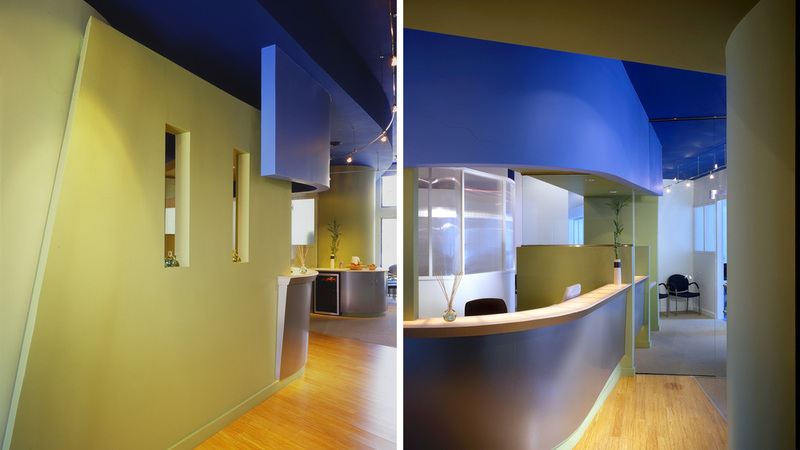 Colorful walls, ceiling, and floors bend and flow to provide a calm interior setting with views to the outside. A glowing, backlit counter floats above the stainless steel reception desk and faces a wall-mounted waterfall. Lights illuminate circulation paths like the lines of currents. Treatment rooms are daylight with windows that look out through sandy pinestands to the water. A juice bar and deck with cafe seating allows patients to have a drink outside in the shade while waiting for an appointment. The facility was designed to be energy-efficient and eco-friendly. Sustainable features include bamboo floors, low-VOC paints and sealers, EnergyStar appliances and equipment. Daylighting strategies and efficient lighting were used to reduce energy costs and provide a comfortable atmosphere and a unique experience.